Isaiah 6:4 Doors Shaking and Smoke in the Temple. Isa 6:4 Their voices shook the foundations of the doorposts, and the temple filled with smoke. Notes: What Vibrations were caused when the Seraphs spoke in perfect unison. This is like a large choir singing in perfect harmony together. The doors and the Door jambs shook as they spoke with such power. 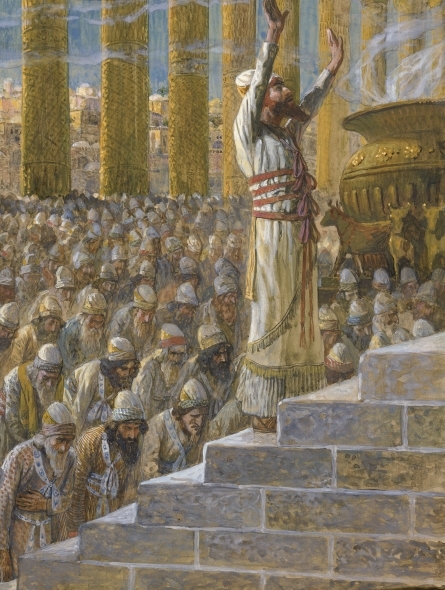 The Glory of God descended when Solomon dedicated the earthly Temple of God in Jerusalem. Application : What awesome creatures are these Seraphim that surround God’s Throne. When they speak everything shakes at the door posts. The very Temple fills with smoke so that we deduce from this that the Presence of the God of Glory has so much much energy and fire that the whole place is filled with smoke. May the God Glory descend upon us today as we surrender our bodies as Temples of the Holy Spirit. Next Post Isaiah 6:5 Isaiah Cried “I am RUINED”!